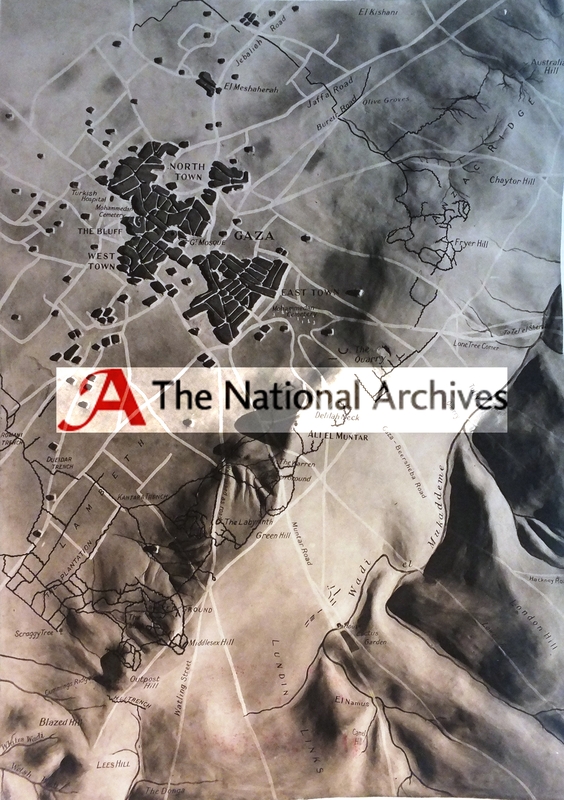 Survey of Egypt, Bromide print of Gaza Operations Model, no 3, Gaza, 1:12,500 (London, 1917). National Archives of the UK (ref. WO 303.496).